Barr Automotive was born out of owner Timmy Barr's lifetime of experience working on cars, trucks, tractors, and more. In that sense, Barr Automotive's roots go back nearly fifty years. However, the business itself got its official start in 2003, after Timmy became the owner of the auto repair business where he'd worked for years. 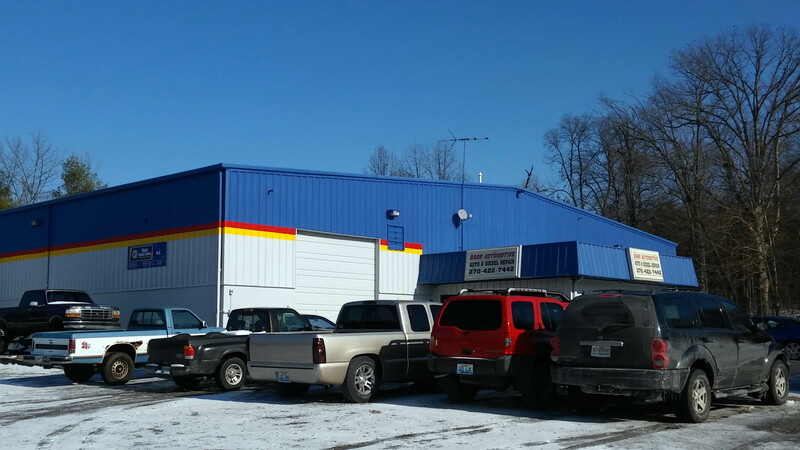 Not long after that, the opportunity arose to purchase a larger facility with more parking, so Timmy moved the shop to its current location at 3340 Bypass Road. There, he expanded his team of skilled technicians, and he and his staff continually strive to provide a friendly welcome to strangers and neighbors alike. We've got an unofficial motto here at Barr Automotive: "If you can drive it, we can fix it." We readily repair diesel engines, tractors, semis, fleet vehicles, and, last but certainly not least, cars, trucks, and SUVs, both foreign and domestic. Free multi-point inspection with service! And free WiFi & coffee while you wait! Our most common services have a consistent price tag, which we've listed below. Other work is priced on a case by case basis. Call now for a free estimate! We'd love to hear from you! Send your questions, comments, or feedback using this form. Thanks! Here are some of the businesses that we work with. Give their sites a visit!